Getting out of the house in the winter can be hard. L’s feeling so cooped up lately, as we all are, and getting out is tough. J and I are so tired most of the time due to our crazy schedules and a newborn yet L is here always on the go self. We try really, really hard to keep that going and get out when we can. J needed to make a trip to the Crossroads Mall before she went back to work after her maternity leave last weekend. That worked out great for the rest of us too. J was able to go shopping by herself while I took both kids to the play area by the food court. B fell asleep in the stroller right away and L was able to run around with kids and play while J shopped. Getting L away from the play area can always be tough. She wanted to ride the carousel, which we promised she could if she was good, so we did that. Since she was good when we left that too, J asked if she wanted a treat on the way back to the car. 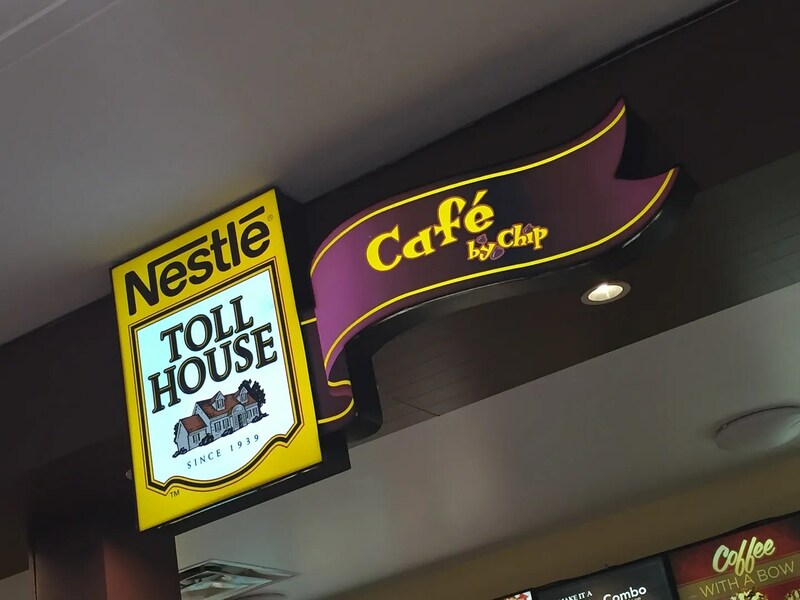 Nestle Toll House Café by Chip just happens to be on the way out of the food court and they have everything we like. Cookies and Icee’s. J asked L if she wanted an Icee…to which she never says no. 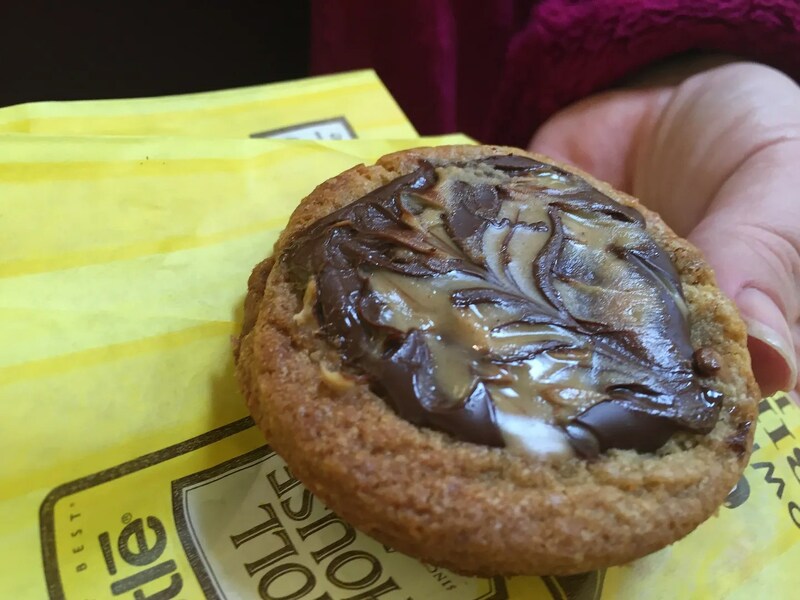 The Nestle Toll House Café by Chip is your typical shopping mall cookie stop. 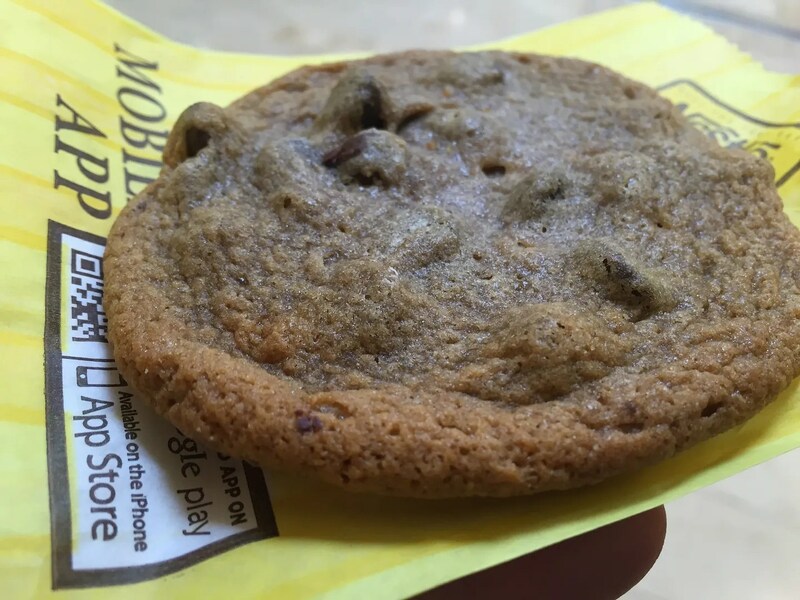 The franchise was started in 2001 to challenge Mrs. Fields Famous Cookies. There are four of the Cafe’s in Michigan with the other three all being in the Detroit area. 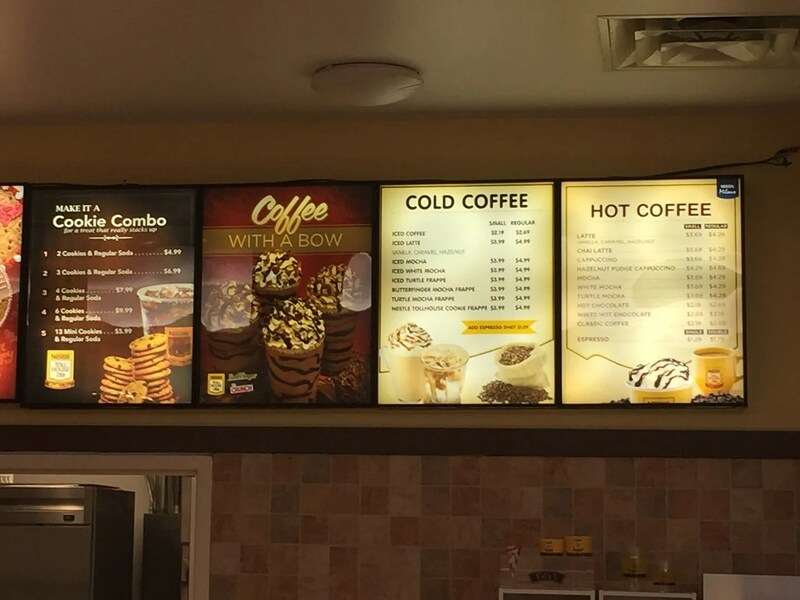 The café has coffee and you can order the big cookie cakes in advance, but they also have a display case of take away treats and of course, the Icee that L just has to have. We each got a cookie and we go the drink for L. Obviously, everything is already made so it took just a couple of minutes for our treats to be handed to us. The total was just under $10 for three cookies and the drink. It’s no surprise, the cookies were delicious. I got a simple chocolate chip, J got a peanut butter chocolate chip and L got an M & M cookie. All soft and chewy and all very tasty. 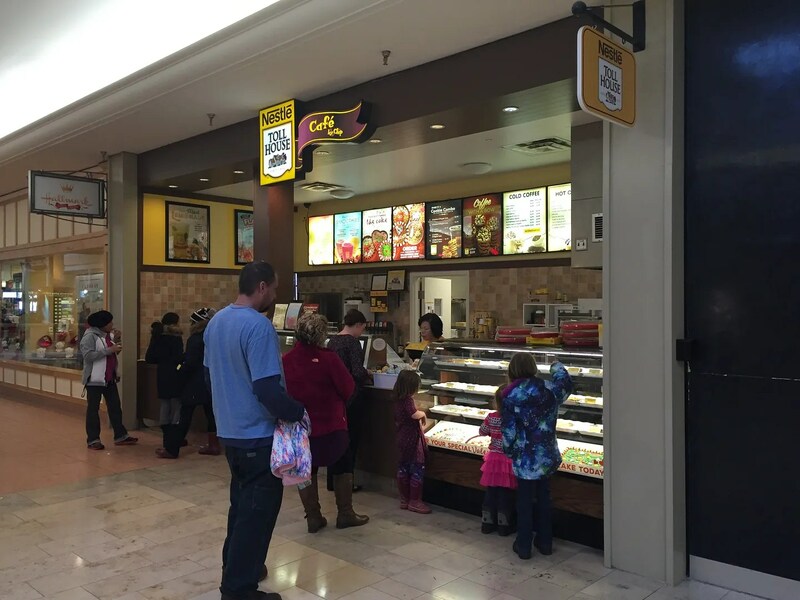 Nestle Toll House Café by Chip is a pretty typical for a shopping mall store. It’s quick, it’s delicious, and it’s fairly cheap. We just needed a quick snack to get everybody out of the mall happy that day and that’s what we accomplished.